With the modern customer being more demanding and well-informed than ever, there is an immediate need for marketers to step up their game. Campaigns must be impeccably planned and executed, or you risk seeing limited results. Thankfully, there are steps you can take to ensure that your marketing activities are optimized for maximum Return on Investment (ROI). Making sure you target the right audience in the appropriate way is key to improving outcomes. Moreover, measuring and evaluating results and adapting campaigns accordingly will set you up for continued success. In this article, we will reveal four simple but effective ways you can improve your ROI for B2B marketing activities. Targeting the right audience and creating appropriate content is a sure-fire way to get better results. Personalized marketing increases sales and can be executed using automation tools. It’s imperative to define and measure KPIs, and adapt campaigns based on the results. If you’re making a hard sell to the wrong people, your efforts will be fruitless. It’s therefore crucial to define your target audience and focus your campaigns on that specific group. To figure out who your potential customers are, you need to understand your products and the benefits they can provide. A great place to start is to look at your existing customers. Who are they and why do they buy your product? You can also look to competitors and find out who their customers are and how they sell to them. Once you have defined your target audience, you also need to consider the best channels to use to reach them. For instance, younger customers might interact more on mobile devices, but senior corporate B2B buyers may prefer more traditional channels. Now that you know who you’re targeting and which channels they might use, it’s time to create content. To be worthwhile, your content has to add value, be present on the right channels, hook the user, and leave a lasting impression. 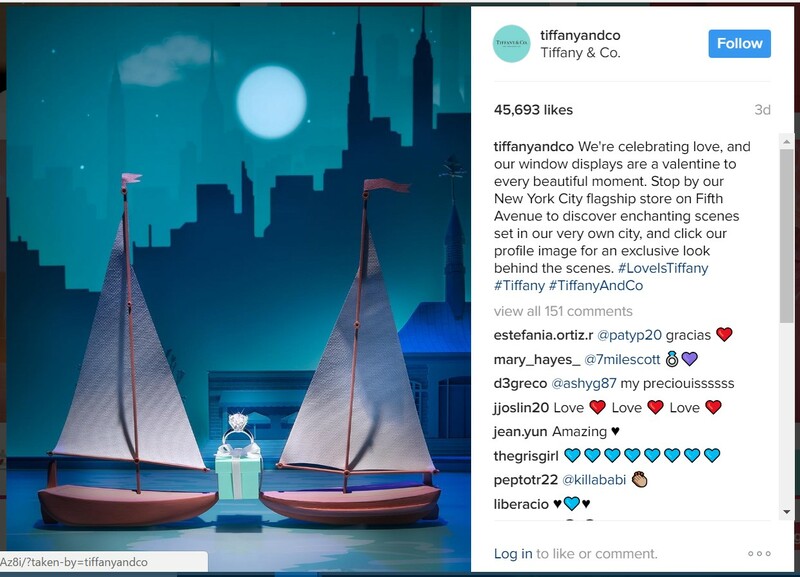 Tiffany & Co., a luxury brand that has been in business since 1837, constantly revamps its marketing strategy to cater to the changing needs of customers. However, the brand’s overall message remains the same across channels. Its multichannel content strategy includes print ads in fashion magazines, regular offers to its subscribers through email, and social media campaigns such as #LoveisTiffany for Valentine’s Day. With 88% of B2B marketers using content marketing as a part of their overall marketing strategy, your efforts have to stand out from the crowd. It is also important to adapt your content to suit different channels, while maintaining a cohesive brand image. You can start your B2B multichannel content strategy by deciding which channels to target, then curating and creating appropriate content. Again, just make sure your content is consistent when it comes to your brand’s voice and overall message. With digital marketing taking over the world, and everyone vying for buyers’ limited attention, personalized messages have become more important than ever. In fact, marketing with the individual in mind can boost your business’ sales by over 19%. Personalization can take many forms, including using the reader’s name, adding the signature of a team member, or targeting a customer’s point in the sales funnel. For example, Sprout Social sends this personalized email to their customers once they sign up. Notice the fun and conversational question at the end which makes the email seem more friendly than ‘sales-y’. A personalized message at the right time can help swing an indecisive buyer. With marketing automation tools such as MailChimp and Drip, emails can be completely customized and sent in response to sales funnel triggers. Aside from emails, you can also apply automation to other marketing activities, including gathering customer data, audience segmentation, and monitoring. Choosing the right marketing automation tool will depend on your needs. Some are better for email marketing or social media, while others are ideal for in-depth website traffic analytics. Marketing KPIs are metrics that help businesses measure and define the success of their marketing strategy and campaigns. They might include sales growth, leads, lifetime value of a customer, email marketing performance, or cost of customer acquisition. No one wants to invest in a marketing activity that is constantly losing the company money. By focusing on the right marketing KPIs, you will be able to analyze how each marketing campaign is doing and make adjustments to budgets and strategies accordingly. To define your business’ marketing KPIs, it’s important to first understand your marketing goals. Once they’ve been prioritized, establish your primary KPIs accordingly. The tools you use for measurement will depend on your KPIs. For example, email marketing tools can automatically measure significant email campaign statistics including open rate, click rate, bounce rate, and unsubscribes. Simply creating a multichannel marketing campaign is not enough; you need to constantly monitor your results. It’s imperative to know which activities are giving you the best ROI so you can adjust your approach accordingly. Once you’ve defined and started to measure KPIs, you need to analyze the collected data and compare it to your overall marketing goals. If something is working well you might want to increase its scope and tweak to make it even more efficient. If an activity has flopped, you could decide to figure out how to make it more effective or simply scrap it altogether. When it comes to deciding how to adjust campaigns, a useful method is A/B split testing. This enables you to compare two versions of the same component to determine which one performs better. With A/B testing, you can make careful changes to your marketing campaigns while collecting valuable results data. Multichannel marketing provides an excellent way to reach out to your audience and close more sales. However, if you’re not on the ball, some of your marketing activities could be having a less than optimal impact on your ROI. Define and measure marketing KPIs. Monitor results and adjust campaigns. Do you have any questions about how to improve your ROI for B2B marketing activities? Let us know in the comments section below!